1. How did you first hear about or get involved with Tree Canada? 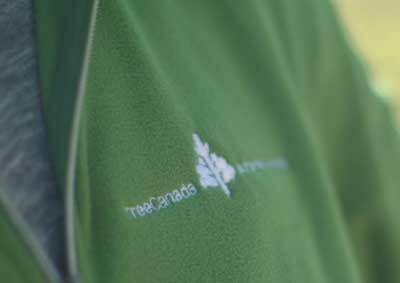 I first learned of Tree Canada when I noticed its logo on merchandise at the Nelson Home Hardware store. This led me to research Tree Canada online. 2. Where does your appreciation of trees come from? Most of my earliest and happiest memories involve trees. I was privileged to grow up in a forested area. This sylvan environment fostered my imagination and taught me respect for the natural world. I learned that trees provide habitat for living things. They shade us from the sweltering heat of summer. They give us food—I still remember the joy of picking and eating the sweet, plump fruit on my grandparents’ cherry tree. Trees were playgrounds—a place to hang a swing or build a fort. They were also friends—sturdy, steadfast confidants and something upon which to lean when I was lonely or sad. Many of my relatives, including my father, worked for the local sawmill so I was raised to understand the importance of logging to the local economy and to our family’s survival. However, I discovered that trees provide so much more than just building material or fodder for pulp mills. 3. What’s your personal philosophy on what should be done about bettering our urban and rural environments? The benefits of trees are numerous and proven: they produce oxygen; reduce greenhouse gases; filter the atmosphere; conserve water; provide food, shelter, shade and habitat; increase property value; prevent soil erosion; aid in riparian restoration; beautify our landscapes and have positive and profound psychological effects on people. They are vital to the health of our watersheds. They boast medicinal properties and are a cornerstone of many economies. Just as forests in parks draw visitors, urban trees can drawn tourists and provide economic benefits to communities. Communities should be stewards of their urban and rural forests. We depend on trees for our very survival. They are the lungs of our planet. Local governments have the power to adopt tree-cutting bylaws to preserve their urban forests. Communities can develop tree management plans. They can initiate arbor days to celebrate the importance of trees. 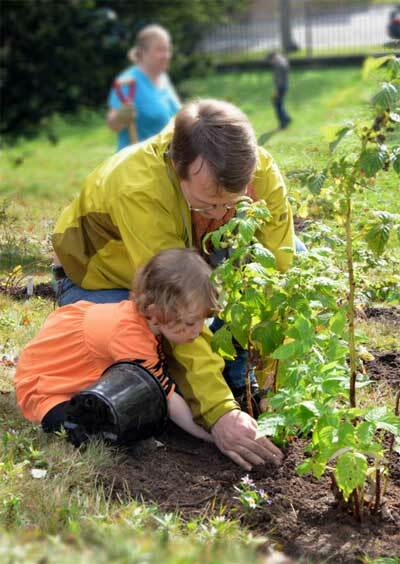 Tree Canada’s Greening Canada’s School Grounds program is a wonderful way to teach children about the value of trees and how we must all take responsibility for their care. 4. What do you wish other people knew about Tree Canada or the importance of trees to our environment and health? 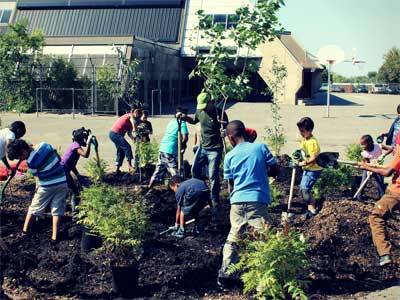 Canadians can make a positive and lasting impact on our environment by supporting Tree Canada. Tree Canada is a steward, educator, researcher, funder, innovator and facilitator. 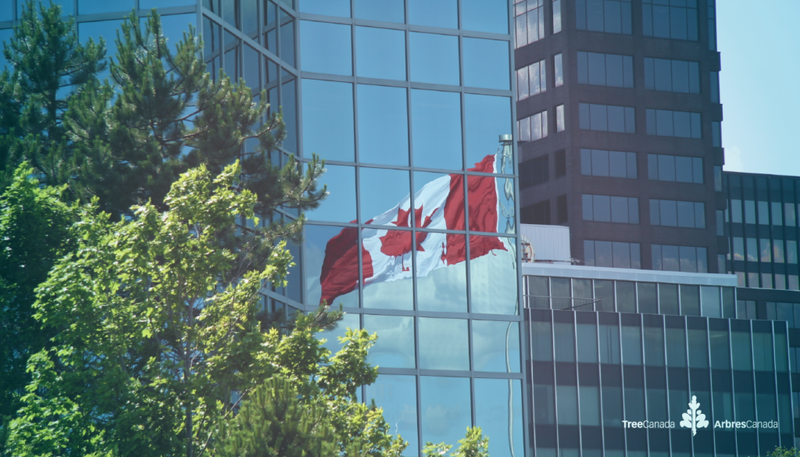 The organization brings Canadians together to build a better Canada for everyone. 5. What would you say are some of your strongest beliefs about the importance of trees? Trees are essential to our well-being on an economic, environmental, physical, emotional and for some people, spiritual level. 6. What has surprised you most about working with Tree Canada? The Tree Canada team is incredible: their dedication to and passion for their organization is palpable. Their outreach is exemplary. They have gone above and beyond to make me feel appreciated as a donor and have even solicited my feedback. Their customer service is the best I have ever encountered. I received a call from Michael Rosen, the president of Tree Canada, which surprised and delighted me! For me, it was getting a call from one of my heroes. 7. What do you think will change about public engagement/awareness of the importance of trees to our communities over the next five years? The climate change crisis seems to be the paramount environmental issue of our time. The doom and gloom that has accompanied this crisis can be ameliorated by the simple act of planting a tree. This involves planning for the future but also recognizing the importance of effectively managing our forests and urban trees now. 8. 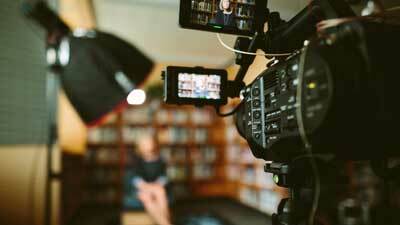 Tell me about someone who has influenced your decision to work with Tree Canada. I received a call from President Michael Rosen. He was calling to thank me for something but it gave me the opportunity to thank him for the work that Tree Canada does. Other staff have called and emailed me and I am always deeply touched by how kind and thoughtful they are and impressed by their professionalism and knowledge. I am truly grateful to the Tree Canada team for doing the work that they do and for giving me an opportunity to express my love and support for trees. 9. What does it mean for you to be a donor of Tree Canada? I am not a forester or scientist or a business owner. I am a government officer. I have always loved trees. I don’t own a property on which to plant trees so Tree Canada gives me the opportunity to make a difference. 10. What would you tell someone who is thinking about donating to Tree Canada? Supporting Tree Canada is an investment not only in the current health of our country, its environment and its citizens, but also in our future. Donors have a wide range of programs which they can support and they can direct their donations towards certain regions of the country. Being a donor gives me an immense feeling of pride, purpose and satisfaction. It also gives me hope for a better future.